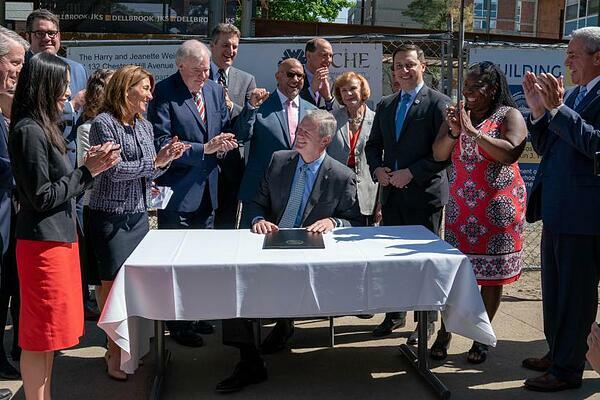 This week, Governor Charlie Baker filed legislation in support of the administration's Housing Choice Initiative, which will support the production of 135,000 new housing units by the year 2025. The new bill will help build upon targeted zoning reform to benefit the communities that pursue new housing production. The Housing Choice Initiative was introduced to provide incentives, rewards, technical assistance and targeted legislative reform to encourage and empower municipalities to plan and build the diverse housing stock that the Commonwealth needs to continue to thrive. It will assist local governments in expanding housing production by providing new grants, coordinating technical assistance across various housing agencies, and promoting regulatory innovation. Massachusetts home prices have increased at the fastest rate in the nation, and metropolitan Boston rent prices rank among the highest in the country. The Housing Choice Initiative will be a multi-pronged effort to align resources and data to create a single point of entry for communities seeking assistance in increasing their supply housing. A Housing Choice Designation rewards communities that are producing new housing and have adopted best practices to promote sustainable housing development. This provides exclusive admission to new Housing Choice Capital Grants and priority access to Commonwealth grant and capital funding programs such as MassWorks, Complete Streets, MassDOT capital projects, and LAND and PARC grants. Recognizing that small towns face different challenges, the Housing Choice Initiative will set aside funding for a Small Town Program exclusively for towns with populations under 7,000. $1 million in capital grant monies were awarded in 2019, and the same is expected for 2020. The Housing Initiative will track progress toward a goal of 135,000 new housing units statewide by 2025, or about 17,000 new units per year. This will require sustaining the level of production over the last three years and represents a 26 percent increase in housing production compared to the last eight years. "Today, we have more people working in Massachusetts than at any time in our Commonwealth's history, and the need for substantially increase housing production - for residents across the income spectrum - is necessary to match Massachusetts' booming economic growth," said Baker. 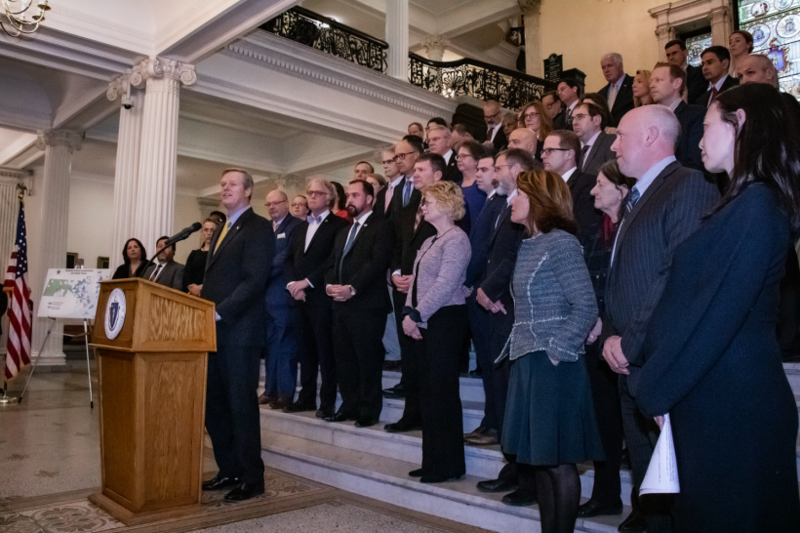 "This legislation is critical, will unlock the potential of our cities and towns committed to responsible growth, development and enacting best practices in sustainable housing production and we are committed to working with stakeholders and our partners in the legislature to make it a reality." Since the start of the Housing Choice Initiative program, the Baker-Polito Administration has awarded $5 million in capital funding to 31 communities. The new proposal will enable cities and towns to adopt certain zoning best practices related to housing development by a majority vote, rather than the current two-thirds supermajority. The legislation will not mandate cities and towns to make any of these zoning changes, but will allow municipalities that want to rezone for denser, transit or downtown oriented, and new housing development to do so more easily. Building mixed-use, multi-family, and starter homes, and adopting 40R "Smart Growth" zoning in town centers and near transit. Allowing the development of accessory dwelling units, or "in-law" apartments. "This legislation is a necessary component to our overall effort to encourage and support municipalities and, together, pro-actively move high-quality projects forward to address our current and growing need for new housing in Massachusetts," responded Housing and Community Development Undersecretary Janelle Chan. Since 2015, the Baker-Polito Administration has invested more than $1 billion in affordable housing, resulting in the production and preservation of more than 17,000 housing units, including 15,000 affordable units. Yet, the Citizens' Housing and Planning Association said that Massachusetts has one of the lowest rates of housing production in the nation, and that local zoning is a key barrier to production.